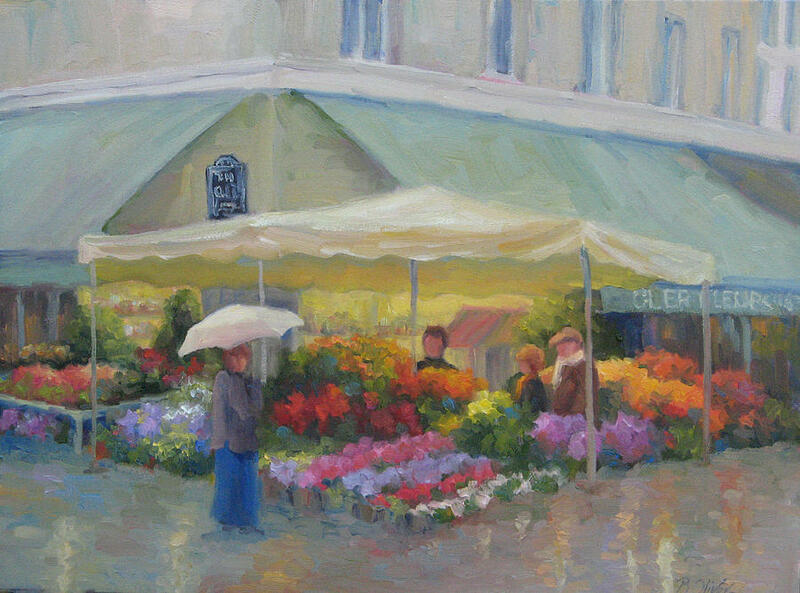 Brightening A Rainy Day is a painting by Bunny Oliver which was uploaded on October 6th, 2010. On the charming Rue Cler in Paris, people were selecting flowers to add color to an otherwise cold, gray day in May. There are no comments for Brightening A Rainy Day. Click here to post the first comment.